New Simkins Collection by Denik! 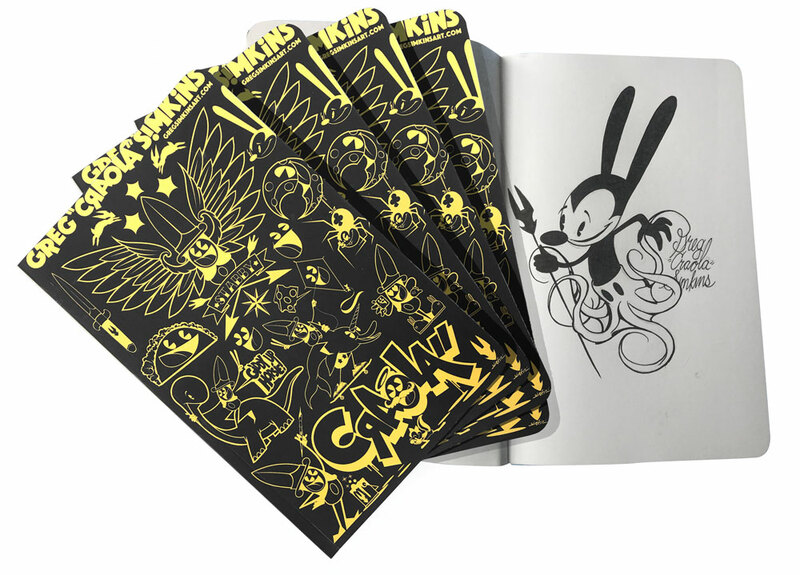 We are proud to launch “For the Birds”, a new collection of notebooks by Greg “CRAOLA” Simkins, exclusively by Denik. For every notebook purchased, you are helping fund education projects worldwide. LAST DAY to win a FREE Trekell x Simkins Keyhole Panel! WIN A FREE Simkins x Trekell Keyhole Panel! Today is the LAST DAY for your chance to win a FREE Greg "Craola" Simkins x Trekell keyhole panel, post a Greg "CRAOLA" Simkins painting that contains a keyhole to Instagram and tag @craola, @trekell_art_supplies and hashtag #craolakey. 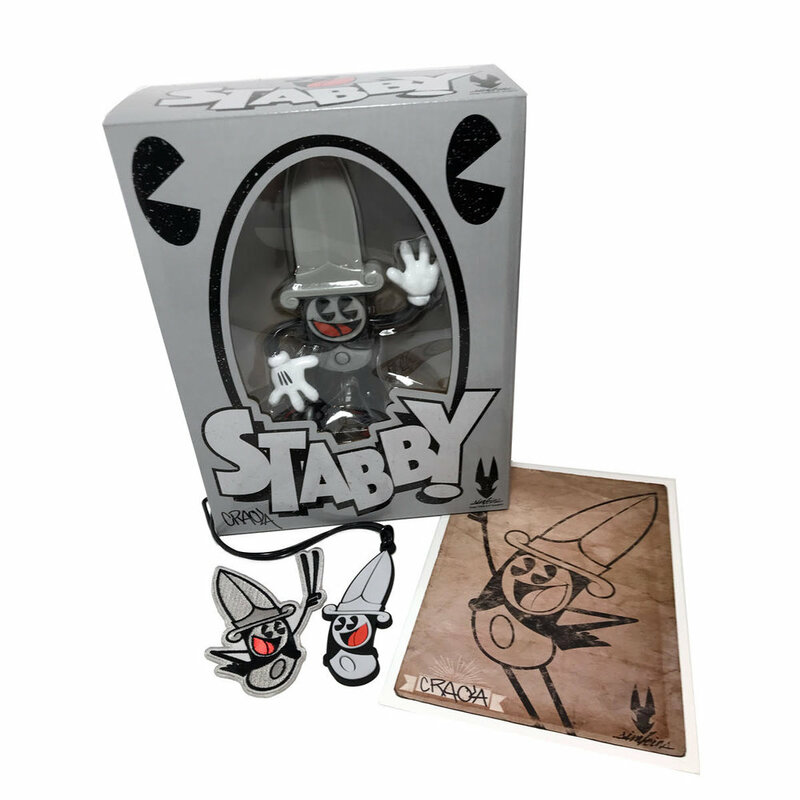 SIGNED Stabby Bundle - limited quantity available! Always with a skip in his step and a smile on his face, Stabby Mack is a friend to anyone who needs a friend and a pat on the back. Don’t let his appearance fool you, Stabby has got a heart of gold! This one of a kind shirt features the art of Greg "CRAOLA" Simkins' painting, "The Artifact" and is a limited edition of 80 pieces. Each shirt comes with a hang tag that is hand signed and numbered by Simkins. NEW Trekell x Simkins Keyhole Panels + FREE GIVEAWAY! 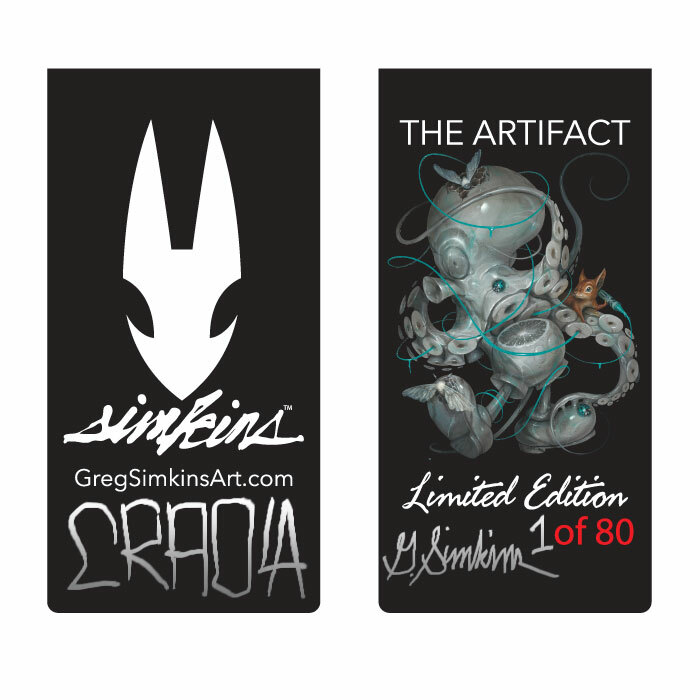 Greg "Craola" Simkins and Trekell have teamed up to design their very first Pro Team Limited Edition Panel! Only available during the month of March, this 1/2" thick, Keyhole shape, Baltic birch panel comes in 2 sizes: Small - 18" high, 8 3/4" wide & Large - 24" high, 11 5/8" wide. Each panel has the Simkins name and logo engraved in the back, along with a keyhole for easy hanging. Don't miss out on this one of a kind shape! WIN A FREE Keyhole Panel! 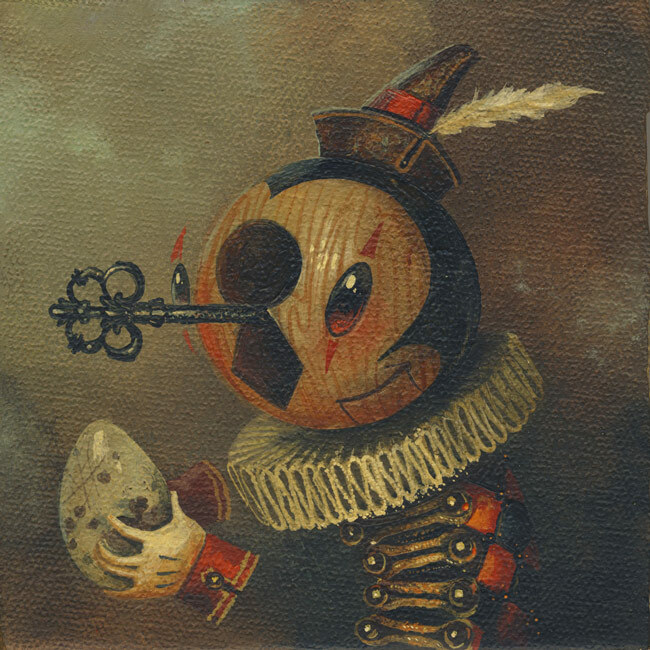 For your chance to win a FREE Greg "Craola" Simkins x Trekell keyhole panel, post a Greg "CRAOLA" Simkins painting that contains a keyhole to Instagram and tag @craola, @trekell_art_supplies and hashtag #craolakey. 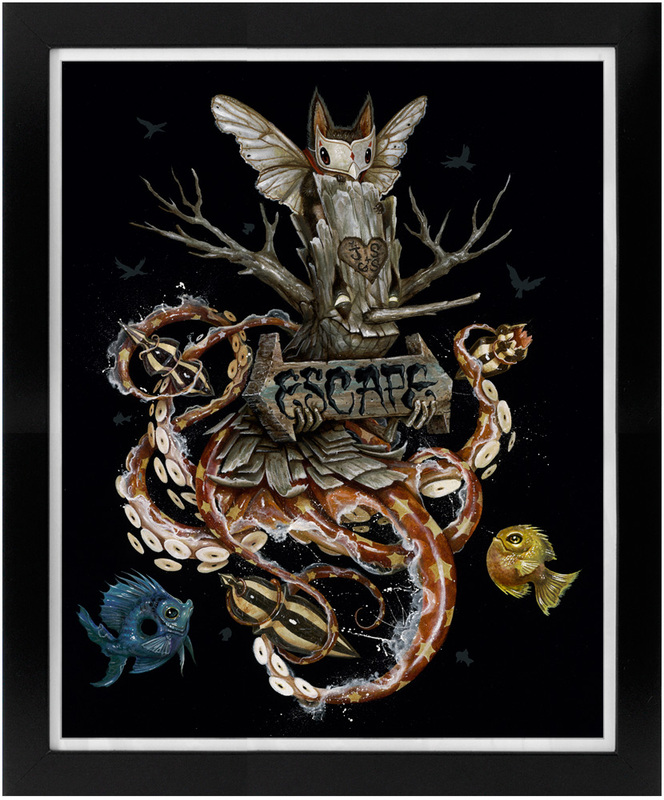 New HAND EMBELLISHED Prints: "The Sweetheart Tree"
Trekell Professional Art Supplies presents a painting seminar with Greg "CRAOLA" Simkins which will focus on acrylic painting with an emphasis on surface preparation, tools, under-painting and glazing. Please bring your pen, notepad and questions. Limited space available. 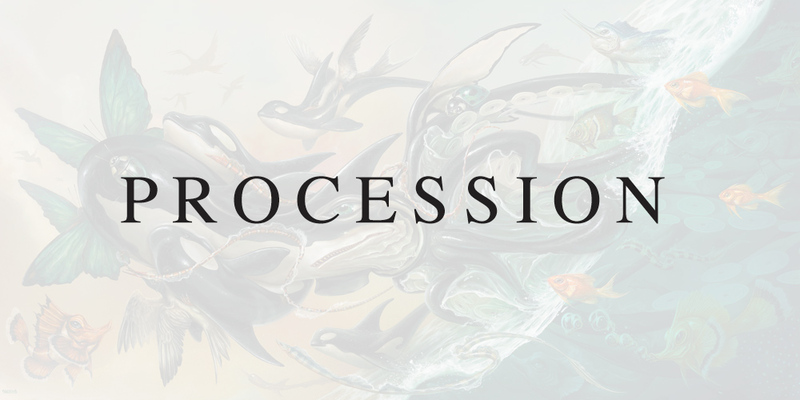 I am proud to present my newest painting, "PROCESSION." We are proud to present Greg "Craola" Simkins Signature Brush Sets now available at Trekell! Pro Team Artist, Greg "Craola" Simkins and Trekell have teamed up to design his new brush set! 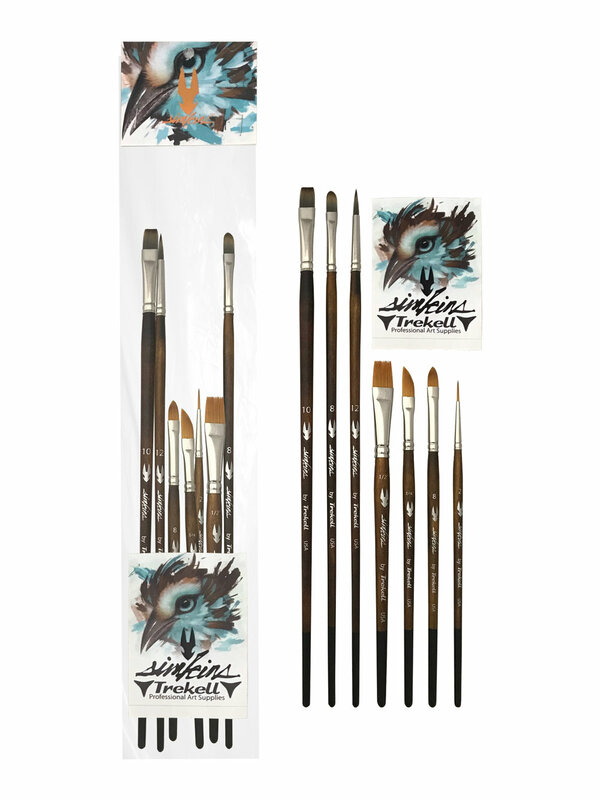 This set features 7 brushes on walnut stained handles with matte black tips and a sticker designed by the artist. All brushes in this set are made from a synthetic filament and can be used with all mediums. 50% OFF Apparel - this weekend only! Get 50% OFF apparel from now until midnight on Monday, November 26th, 2018 when you use the following code at checkout on GregSimkinsArt.com (while supplies last). 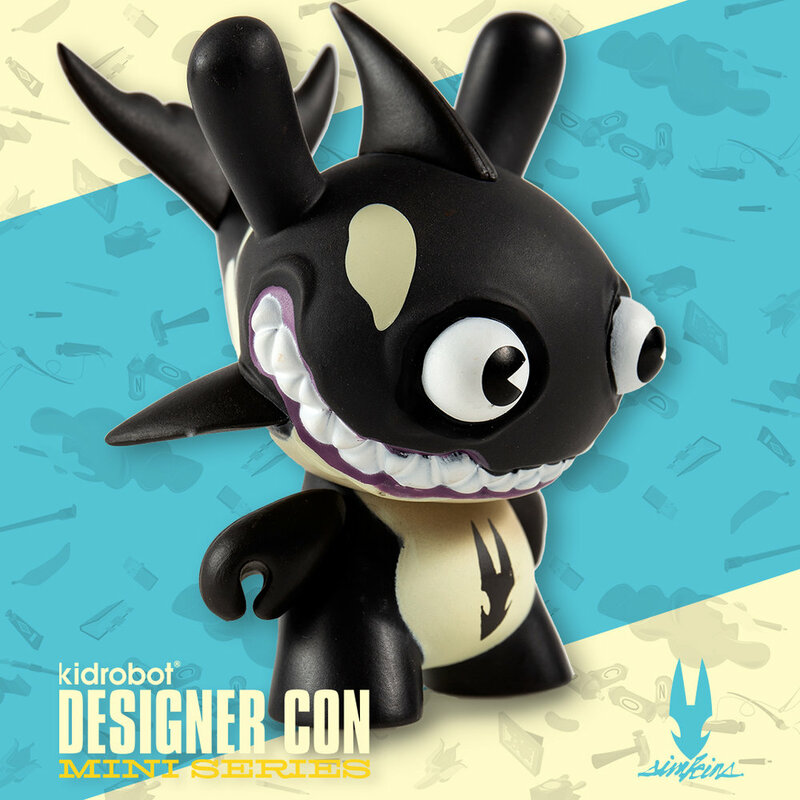 SIGNED Dunnys Available @ DesignerCon this weekend! I’m excited to announce that I will have SIGNED APs of my DesignerCon & Cryptid Dunnys available at my booth# 2423 at DesignerCon this weekend! Get a FREE "Stabby Bat" poster w/print purchase for a limited time! *While supplies last, offer expires at 11:59pm on October 31st, 2018.